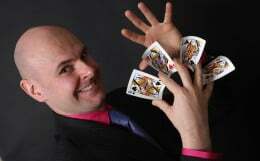 Book David for your party in Norwich and it will be an outstanding success. David's recent performance at Cafe Bluu on Fleet Street, Islington Gates, blew everyone away! The lady who booked David for her birthday party was ecstatic about his performance and the customised 'magical package' he provided for her very special event. 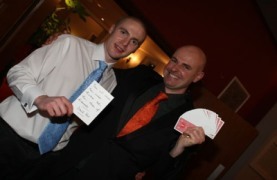 David can provide you with close-up magic, table magic and an amazing thirty minute stage show for all your guests. He is also a highly talented balloon modeller. His balloon sculptures will bring colour, vibrancy and happiness to your special function. 1. David is unique as he will provide a fully customised package for your event. 2. Magic is a truly incredible ice-breaker for any social gathering, from the comfort of your home to the exclusive environs of a club or bar. 3. Your party will never be forgotten. 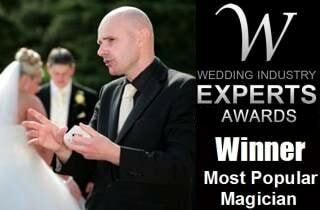 David's magic always makes an indelible impression on the guests. 4. Win the respect of friends and family for booking such a professional performer. 5. With over a decade of experience, David is the man for your exclusive function.